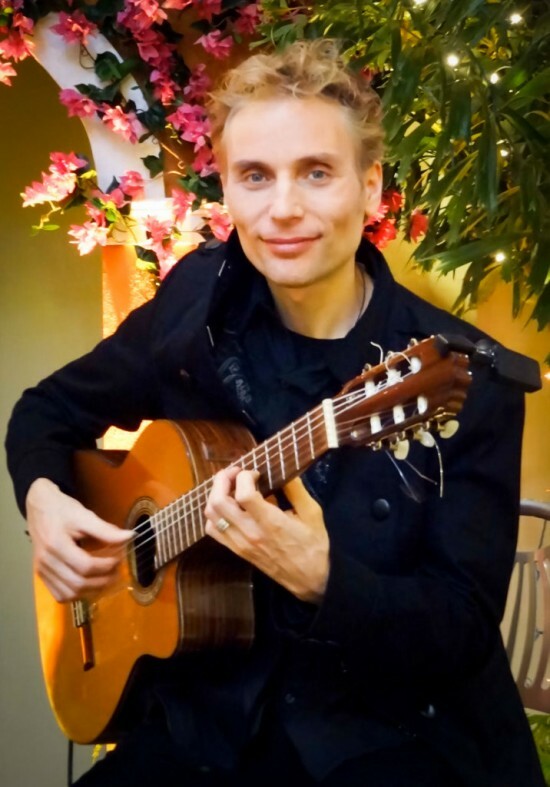 Witold Tulodziecki performs, composes and arranges contemporary world music inspired by modern Flamenco and a variety of Latin and Ethnic styles. His specialty is music for private & corporate events and weddings. Music selections include: Nuevo Flamenco, traditional Flamenco, Smooth Jazz, Spanish, Latin, Classical, mixed with Popular songs. 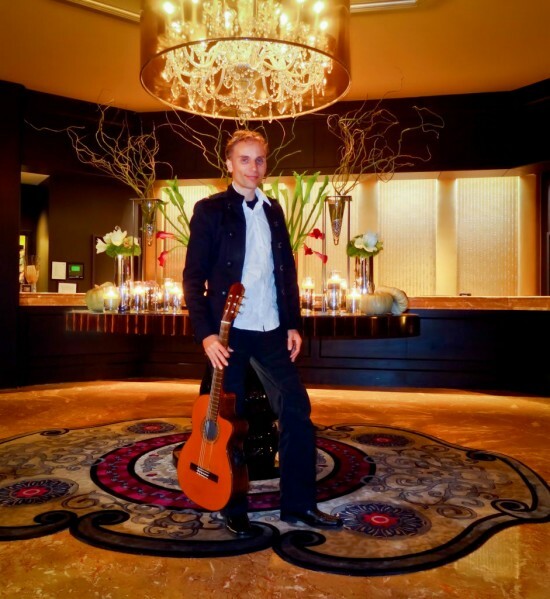 If you are dreaming about an elegant musical canvas for your event please contact Witold. He will be happy to make it special and personal for you! Live performance can be complemented with professionally produced background music or live percussion creating a unique and exciting atmosphere. Witold performs, composes and arranges contemporary world music inspired by modern Flamenco and a variety of Latin and Ethnic styles. His specialty is music for private & corporate events and weddings. Music selections include: Nuevo Flamenco, traditional Flamenco, Smooth Jazz, Spanish, Latin, Classical, mixed with Popular songs. Solo guitar can be supported with gentle backing tracks arranged carefully in his studio to enhance an impact of the guitar. 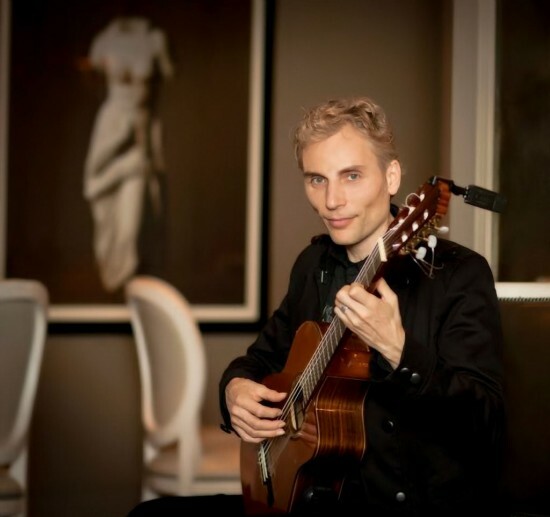 Witold has created memorable musical experiences for hundreds of wedding ceremonies, rehearsal dinners, cocktail parties, private homes and corporate events for over 20 years. "Thank you so much for performing for the students and stuff at South Aiken High School! We enjoyed the performance immensely and we were awestruck by the magic of Flamenco. Your professionalism and the time you spent talking and demonstrating with students after each of the performances was exceptional." "On behalf of the City of Roswell Cultural Arts Board, we would like to extend our sincerest appreciation and gratitude for the fabulous performance that you gave at the 2nd annual CABY Arts Awards. We could not have produced a program of what we believe was such high caliber without your superb performance that you so willingly provided. We know that your talent and quality performance has left a positive impression with the community and the awards recipients alike. The Cultural Arts Board certainly recognized you as one of the best artists." Witold customizes the equipment depending on the occasion and size of the room and the event. Often he uses a compact, excellent quality setup by Bose which is very flexible and has an almost “invisible” design. The music never gets too loud or creates unpleasant frequency spikes. Music selections include: Nuevo Flamenco, traditional Flamenco, Smooth Jazz, Spanish, Latin, Classical, mixed with Popular songs. Recent review: Even though it was a really hot night the instructors were very engaging.